After years in decline since its heyday as a foundry town and port Hayle seems to be well and truly on the up. A brace of smart new cafes have opened along the harbour and plans are afoot for the redevelopment of much of the old quayside. 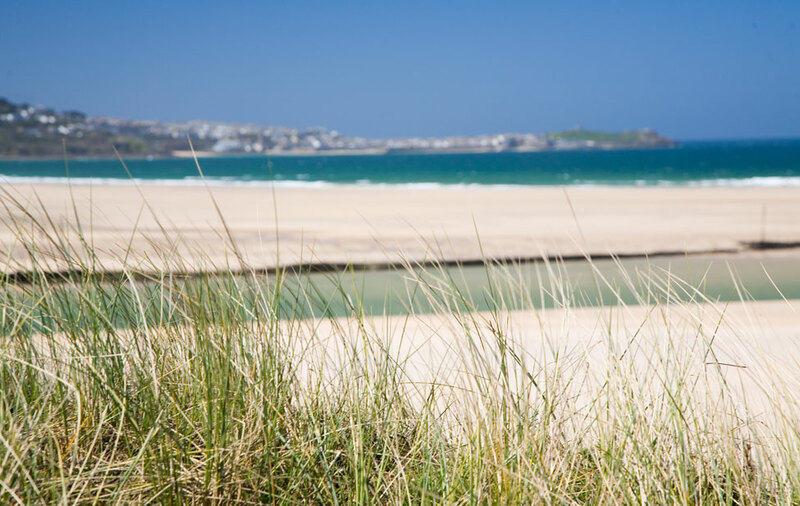 Apart from the town's industrial heritage Hayle boasts some fine natural assets such as miles of fine sandy beaches and an estuary teaming with birdlife. Both are within walking distance of the town which has some great features if you know where to look. Hayle town centre is unusual in that it is really only one street. However it is a very long street joining the historic Foundry district to the shops of the Copperhouse district. Hayle has built its reputation as a resort town on its "3 miles of golden sand" and this is a pretty fair summary. 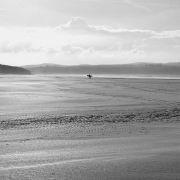 At low tide there is an uninterrupted stretch of beautiful, fine sand reaching from the estuary mouth all the way to Godrevy Point in the north. The beaches closest to the estuary are referred to as the Towans and despite being closest to town have a wild feel with high windswept dunes and wide open space. Gwithian and Godrevy at the north are popular with surfers and also great for kids with plenty of facilities and some super rock pools. 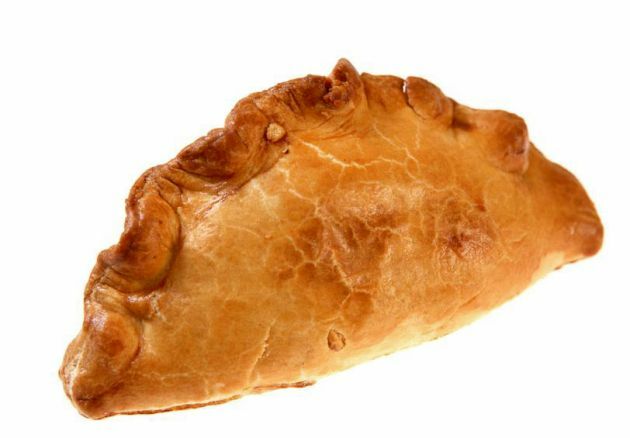 Hayle is one of the best towns in West Cornwall to get a pasty from. Not only is there the "Famous" Philp's bakery down by the harbour and the Foundry but there is the lesser known, but arguably superior, Hampsons. 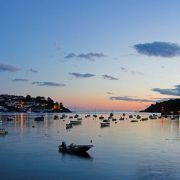 The bonus of choosing a Philp's pasty is you can sit in the car park and look out over the harbour whilst munching your pasty. Or, if you buy one at the Foundry shop, you can sit on a bench at the Mill Pool whilst you eat it. Paradise Park dates back to the 1970s when it was set up by former "Milky Bar kid" Mike Reynolds. A large Victorian house set in extensive grounds, Reynolds thought it was the ideal place for a tropical bird garden. Initially called “Bird Paradise”, it has expanded much over the years to become one of Cornwall's top tourist attractions. Paradise Park now boasts a petting farm, small railway, an indoor play area and still maintains a fine collection of birds. However you enter Hayle it is hard not to be reminded that this was once an important industrial town. At one end the old iron works and the other the derelict bulk of Loggans Mill. Even the names of Hayle's two districts; Copperhouse and Foundry, reflect this heritage. Hayle's industrial credential date back over 2,000 years when it is said the Phoenicians came here to trade tin. 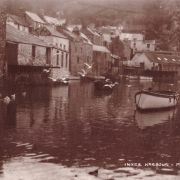 In 2006 the harbour and Foundry part of the town were awarded World Heritage status in recognition of their historic importance. It is well worth exploring the old Foundry and taking a walk along the recently spruced up quaysides. Over recent years Hayle has experienced something of a renaissance and it has finally been realised that the Foundry end of town around the harbour is actually quite a nice spot! My personal favourite is Johnny's, a vegetarian café made from two terraced houses knocked into one. Besides doing a good veggie-burger and coffee there are nice views over the harbour. Hayle is firmly on the twitcher's map with the Estuary and Copperhouse Creek RSPB reserves providing unique habitats. As the most southerly tidal estuary in Britain the water never freezes here and in the winter it becomes a haven for migrating wildfowl. 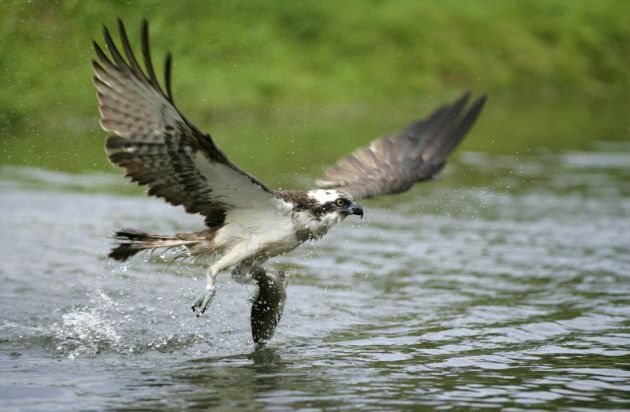 Throughout the year any number of birds from the mundane to the exotic can be spotted here; Curlew, Little Egret, Oyster Catchers, Widgeon and the occasional Osprey are all found here. 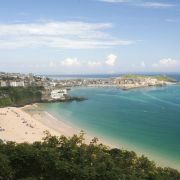 As mentioned there are no shortages of beaches near Hayle. 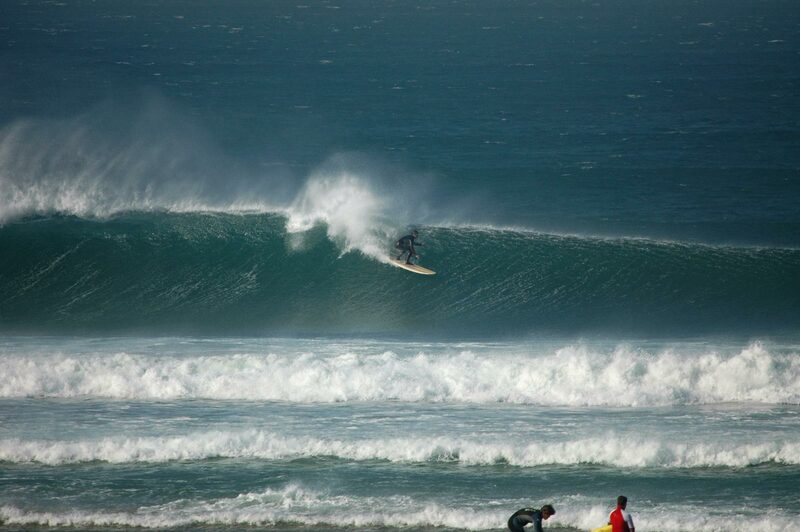 Not only do these beaches look nice they also provide some of the most consistent surfing conditions in Cornwall. On all but the calmest of summer's days there will be a surfable wave somewhere between Godrevy and Hawks Point across the rive mouth. One of the great things about this stretch of coast is the waves get gradually bigger as you move along the beach. It also curves around so you can find some offshore if the wind is anywhere between easterly and south-westerly. 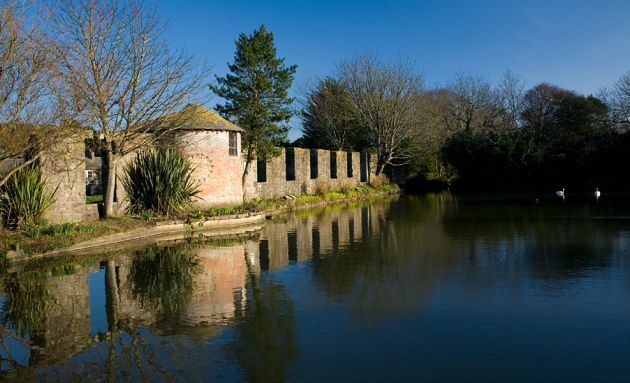 One of the nicest spots in Hayle is the old Millpond. It is hard to imagine that this peaceful pool was once part of a global centre of industry. In those days the pond was part of a water system which drove a mill used for grinding corn. 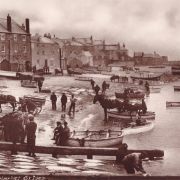 This was in turn fed to an army of horses which transported the goods produced by the foundry over land or to the nearby harbour. These days the majority of activity in Hayle's millpond is due to the ducks! They are more than happy to receive a tasty treat from Philp's bakery next door. There is a train station in Hayle itself; it's on the main Penzance to Paddington line. 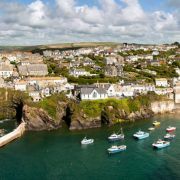 However, if it is a scenic ride that skirts some of the most picturesque coastal scenery anywhere in Cornwall that you are after then you'll need to head to Lelant Saltings station. 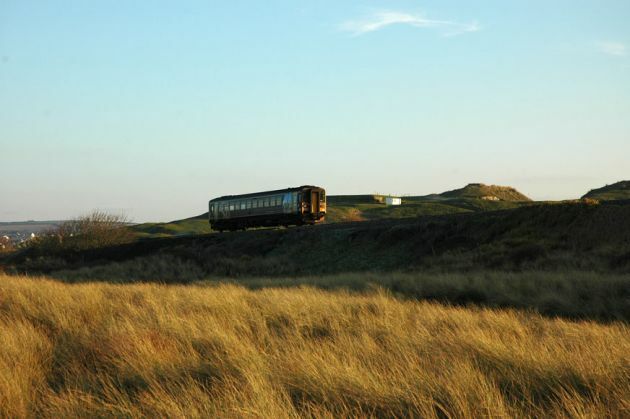 From here you can take what has oft been described as the most scenic railway in Britain. The highlight of the St Ives Railway is as it hugs the cliffs above Carbis Bay beach and you get your first glimpse of the St Ives as you round Porthminster Point. At around 550 feet (175m) high Trencorm Hill is the highest point in the old district of Penwith. As you can imagine, the views from the top are pretty spectacular. 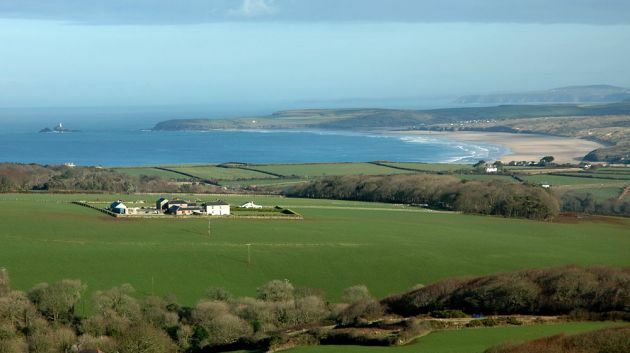 To the south you look down over Mount's Bay and St Michael's Mount; to the east the view up the coast is stunning, with all of Hayle's beaches laid out in front of you and St Agnes Beacon looming in the distance. Owned by National Trust, Trencrom also has many signs of prehistoric settlement. Whilst these are not easy to discern, you can appreciate the weather worn rocks that help make this a very atmospheric spot.